Female macroptera. Body brownish yellow to light brown, tergite IX darkest, head with dark post-occipital ridge; legs yellowish brown, tarsi yellow; antennal segment I white, II–VIII light brown; fore wings uniformly but weakly shaded. 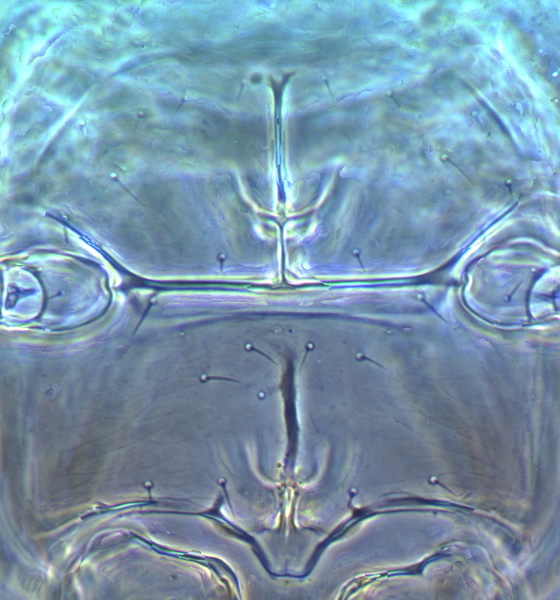 Head usually without sculpture except on posterior third; eyes large with 6 pigmented facets; ocellar setae short and blunt, pair I close to fore ocellus, pair III within ocellar triangle; 2 pairs of postocular setae; maxillary palps 2-segmented. 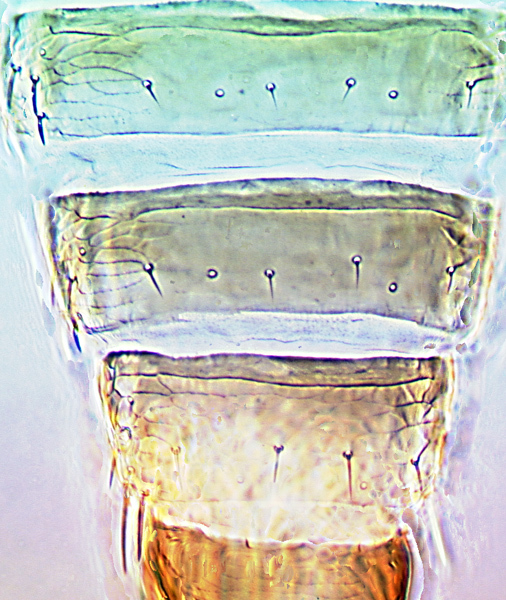 Antennae 8-segmented, sensorium on segment III and IV forked, II–VI with microtrichial rows, I without dorso-apical setae. 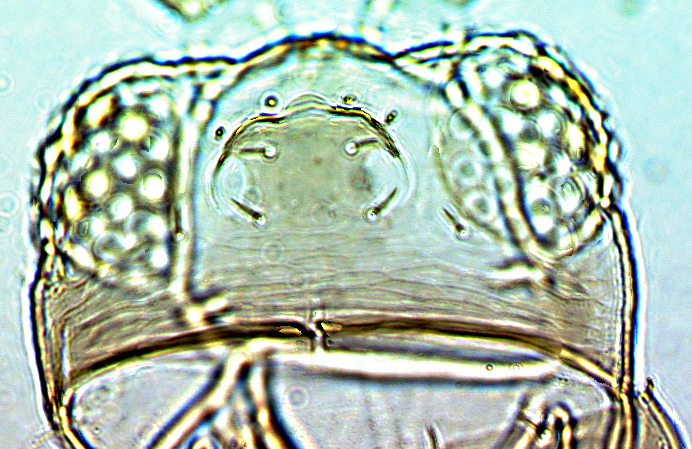 Pronotum transverse, almost without sculpture, all setae short and blunt. Mesonotum and metascutum without campaniform sensilla; metascutum reticulate, median setae arise medially. Prosternal ferna entire; basantra without setae. Mesothoracic and metathoracic furcae each with prominent spinula; mesothoracic sternopleural sutures complete. Metapre-episternum weakly developed. 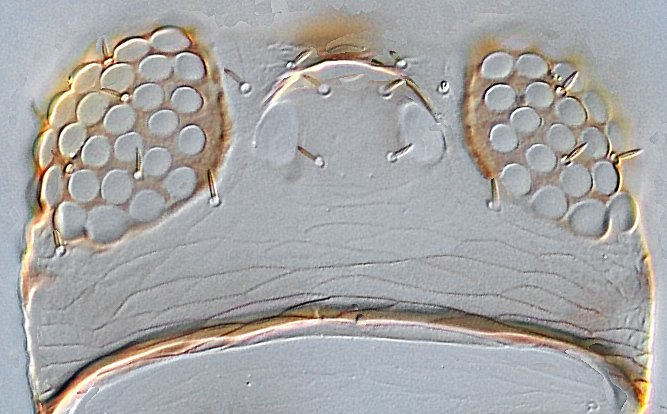 Tarsi 1-segmented. Fore wing relatively broad; first vein with about 7 setae on basal half, 2 setae distally; second vein with 7–10 setae; clavus with 4 veinal setae and 1 basal submarginal (?discal) seta. 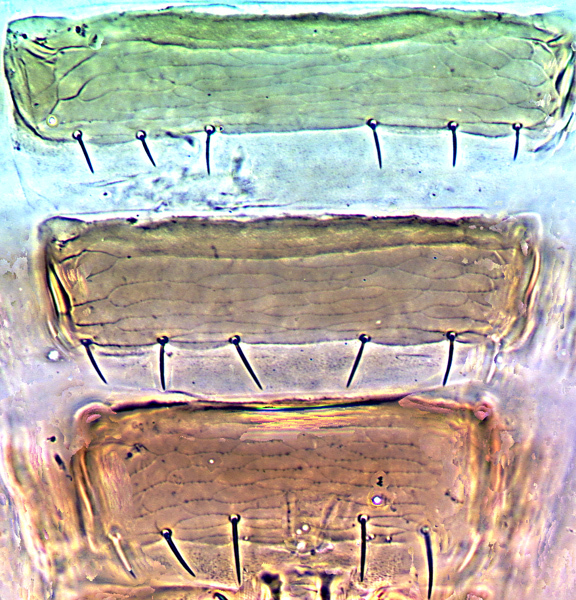 Tergites and sternites without craspeda; tergites with little sculpture, median setae wider apart than their length lateral setae blunt; tergite VIII with no comb; tergite IX without campaniform sensilla, or with one pair posteromedially, MD setae short and arising laterally; tergite X with dorsal split short. 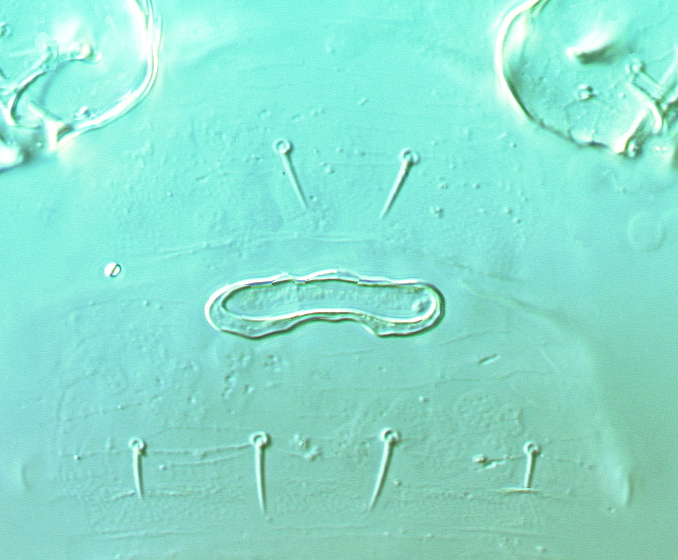 Sternite II with 2 pairs of marginal setae, III–VII with 3 pairs of marginal setae, S1 and S2 on VII arising sub-marginally, without discal setae; posterior sternites with short weak microtrichia on transverse lines of sculpture. Male macroptera. Similar to female; sternite III pore plate thick-walled, internal markings scarcely visible; tergite IX without campaniform sensilla, dorsal setae slender. The genus Dodonaeathrips includes only one species. 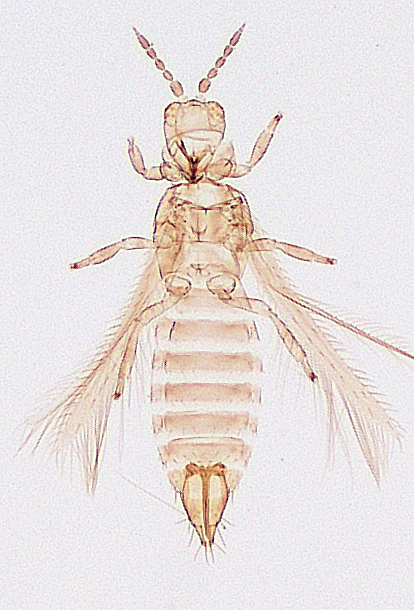 Although similar to species of Anaphothrips in appearance, D. eremiae is remarkable in having single segmented tarsi, also a metathoracic as well as a mesothoracic furca. 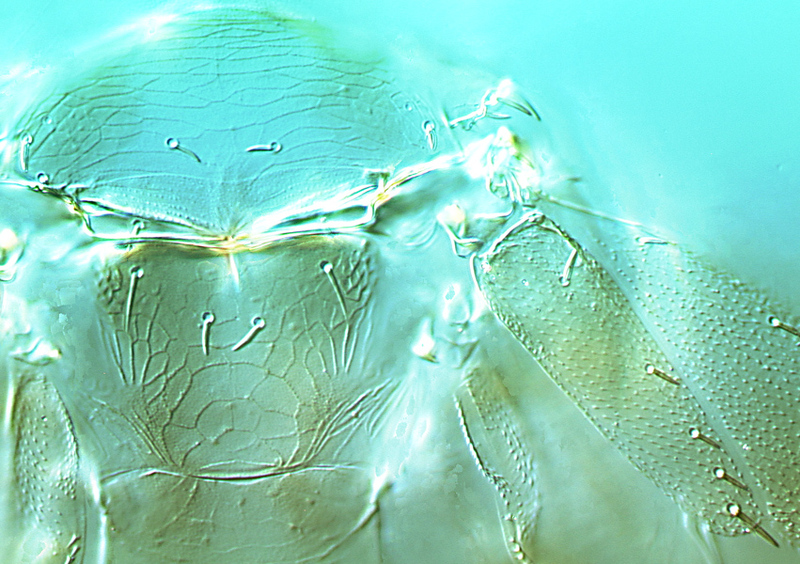 Moreover, the maxillary palps are 2-segmented, and the ninth tergite usually lacks campaniform sensilla in females. New South Wales, Queensland, South Australia. Breeding on Dodonaea sp. (Sapindaceae); adults taken from Acacia stenophylla and A. aneura (Mimosaceae).